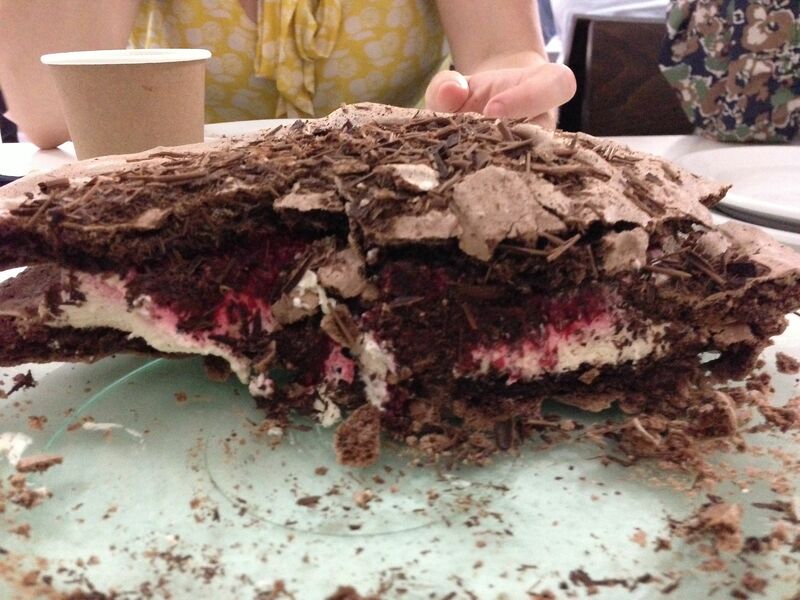 Chocolate Mousse Meringue Cake is basically a vacherin with a chocolate mousse filling. 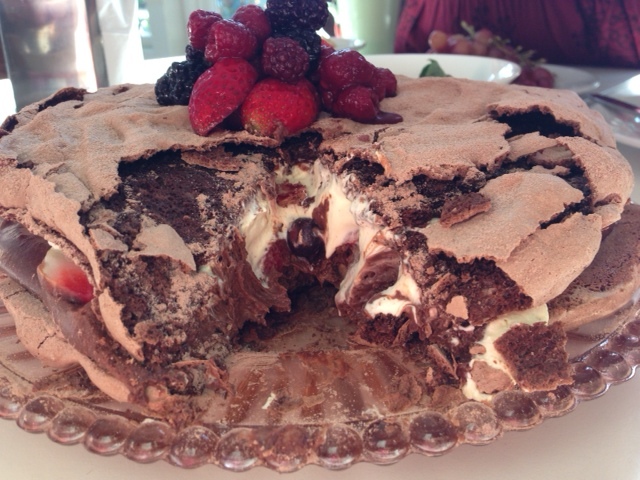 Two layers of meringue are sandwiched together with Nigella’s chocolate mousse, whipped cream and strawberries. Not for the faint hearted, and definitely not for the diet conscious! Preheat oven to 150degrees C (non fan forced). Place a sheet of baking paper on each of 2 baking trays. Roughly mark out a circle on each – about the diameter of a dinner plate. Beat egg whites with an electric mixer until stiff. Gradually beat in sugar, continue beating until very stiff. Stir in vanilla and vinegar, then stir in cocoa and chopped chocolate. Place baking trays in centre of oven. Turn oven off, leave in oven with door ajar for further hour. Put the saucepan on the stove top, though keep it fairly gentle, to melt the contents, stirring every now and again. 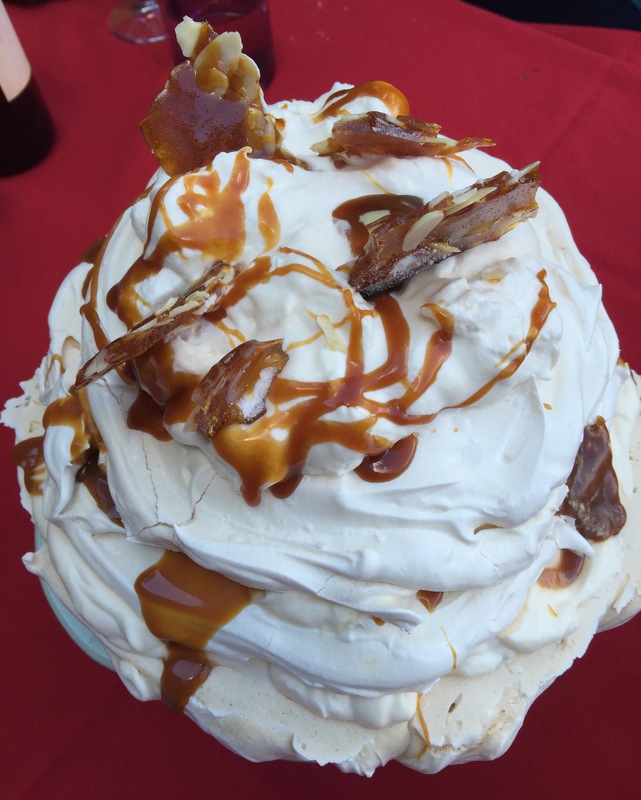 When meringues are completely cool, carefully remove from baking paper. 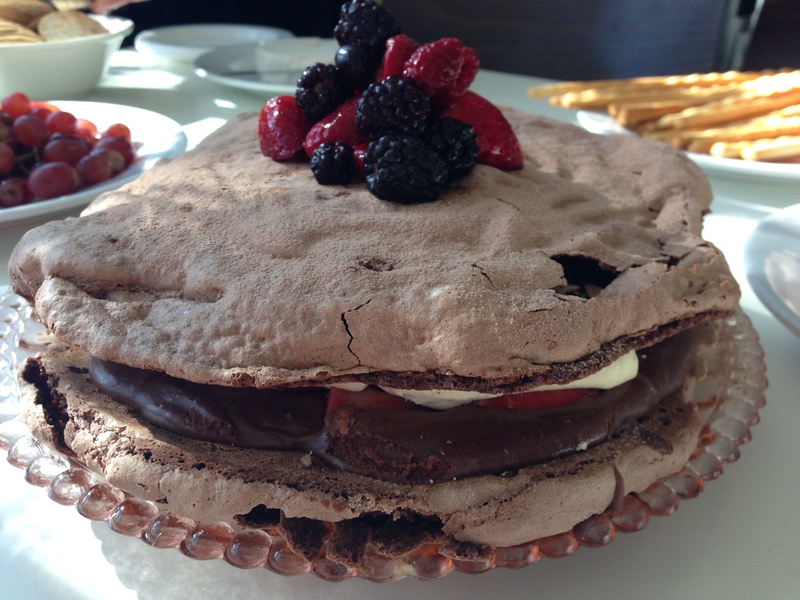 Place 1 meringue with flat side facing up on a plate. Spoon chocolate mousse onto meringue, top with cut strawberries and then whipped cream. Place second meringue on top, flat side down. 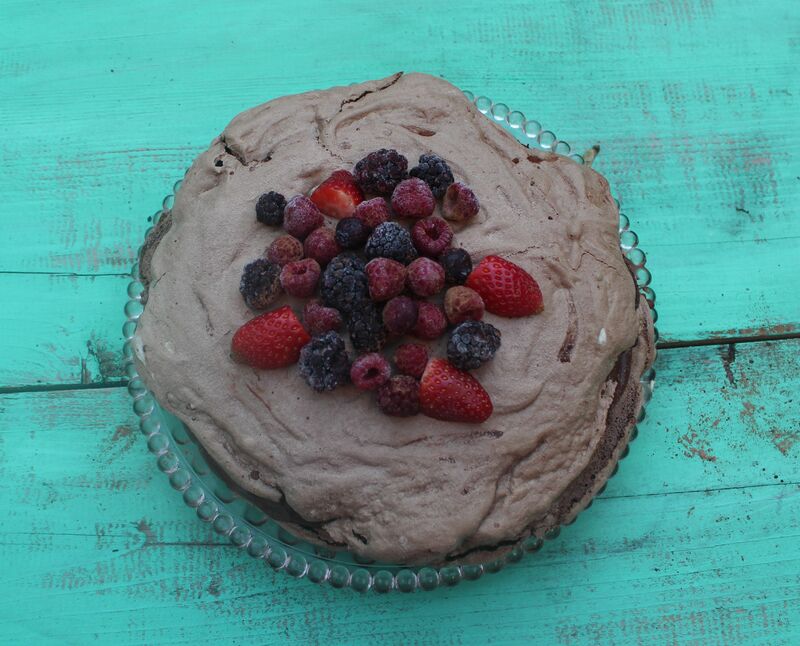 Decorate with fresh berries and sprinkled chocolate as desired. Posted in Dessert, Meringues, Sweet Food and tagged chocolate mousse, cocoa, cream, marshmallows, meringue, strawberries, vacherin. Bookmark the permalink. 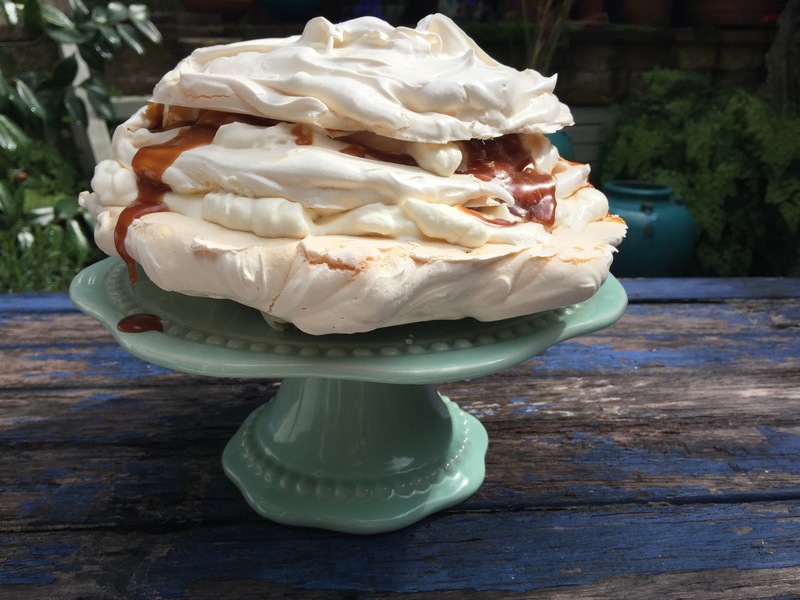 I love meringue – making it and eating it of course. 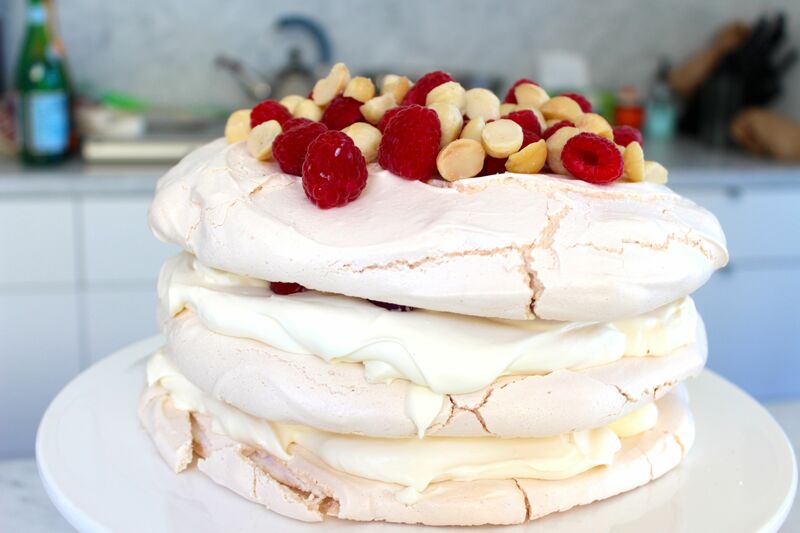 I cook all versions of egg white and sugar creations from pavlovas to vacherins, dacquoises and plain old meringues. 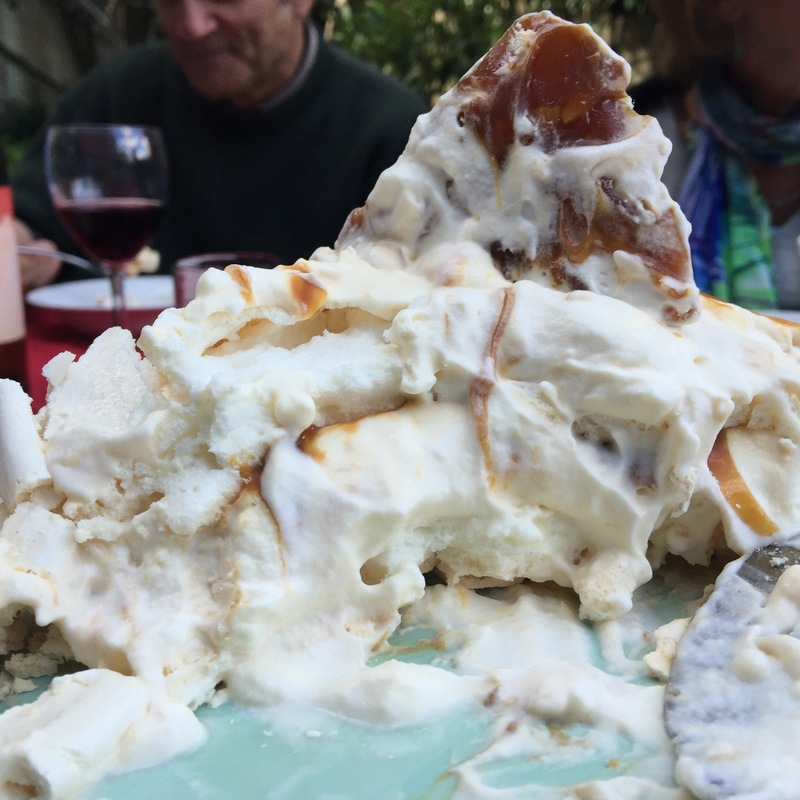 A vacherin is two discs of meringue sandwiched together with cream and a yummy filling. 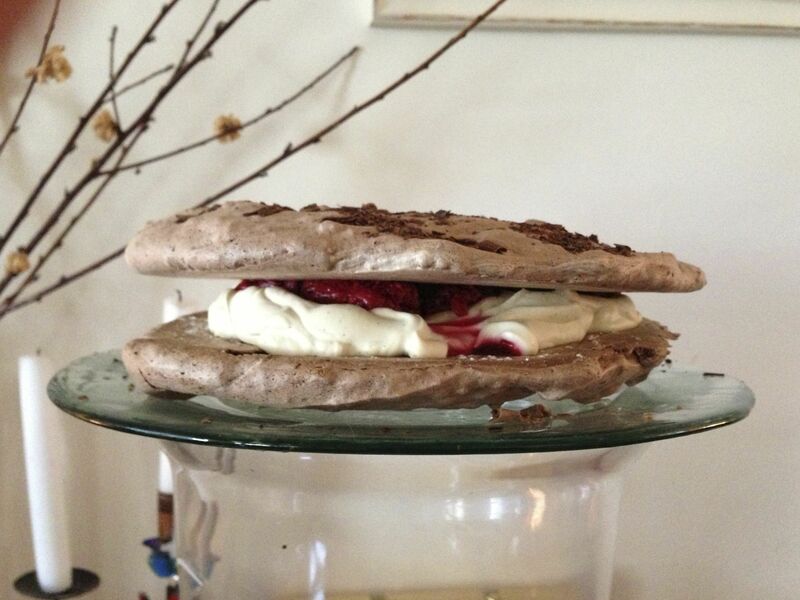 Chocolate flavoured meringue and cream and raspberries go so well together. Defrost raspberries with icing sugar. Blitz chocolate in food processor until the consistency of breadcrumbs. 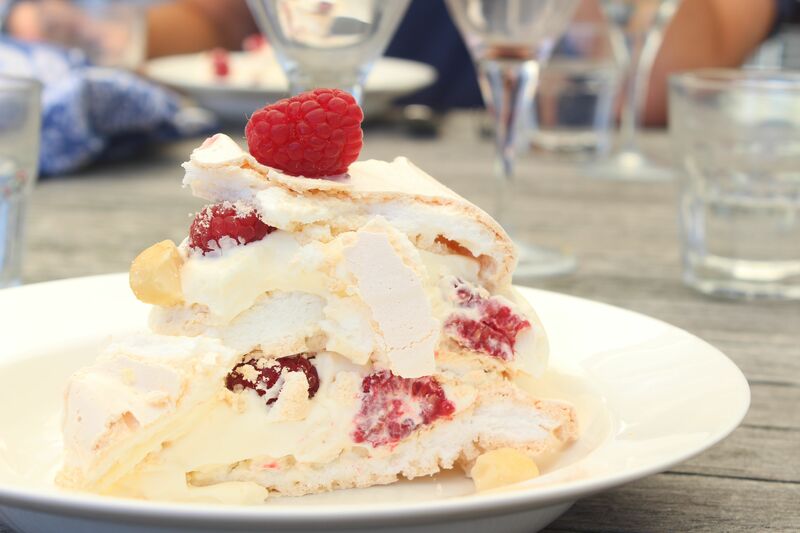 Spoon cream onto meringue, then raspberries. Decorate with chocolate shavings or fresh berries as desired. 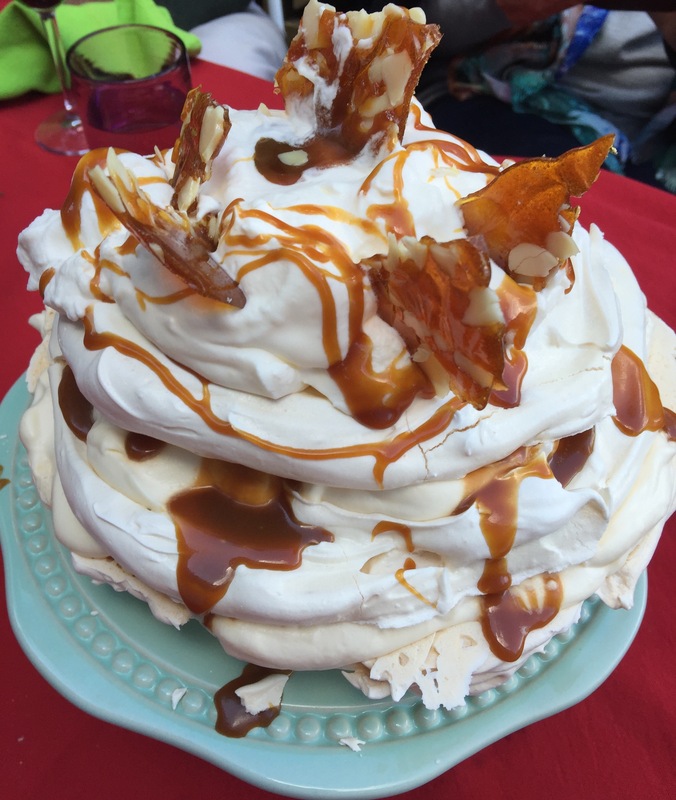 Posted in Cakes, Dessert, Meringues, Sweet Food and tagged chocolate, cream, freeform, meringue, pavlova, raspberry, vacherin. Bookmark the permalink.